I’m excited to share my ninth author Q&A with all of you! Today’s features Susan Dennard, author of the Something Strange & Deadly trilogy and the upcoming high-fantasy series debut, Truthwitch. Jordan: Which one of your characters do you relate the most to? 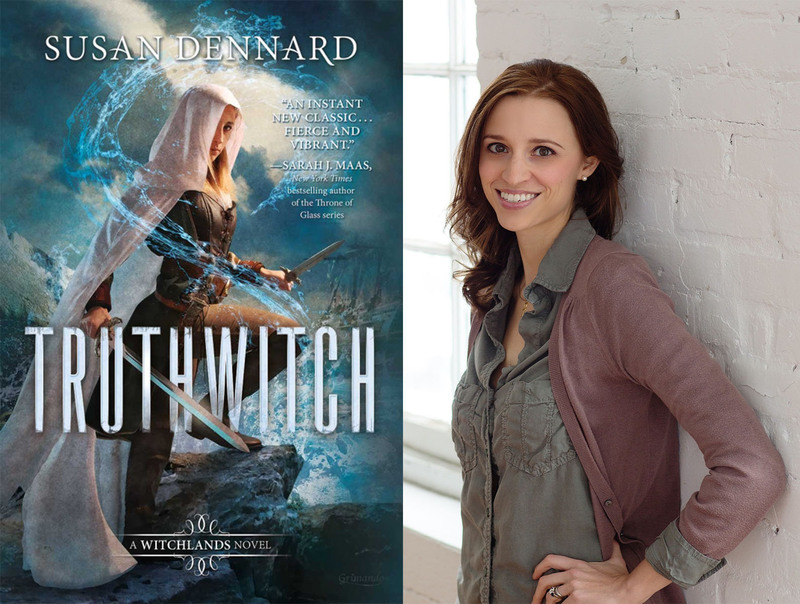 Susan Dennard: I relate to Iseult’s outsider-ness in Truthwitch. I think her arc is one a lot of bullied teens & adults can recognize. I still adore/relate to Daniel a lot! SD: In Truthwitch, I really struggled with Iseult because she’s so NOT normal with her emotional reactions and awareness. 😛 I also struggled with Merik later in the book because he’s so morally black-or-white that he can be inflexible! As for the easiest: I loved writing Aeduan! He’s very…unemotional (at least on the surface) and that’s fun to play with! SD: I honestly have no idea!! Ha! That’s harrrdddd. I’ll have to think on it! J: Is there anything you regret writing (or not writing) in one of your books? SD: OH MY GOSH YES. Heaps of things. I would rewrite them all from scratch given the chance. 😉 Authors are never happy. SD: I still adore Oliver from SS&D. And in Truthwitch, Kullen is really a fan favorite! J: What’s your favorite part of the writing process? Least favorite? J: Who’s your current book boyfriend? SD: I’m in the middle of binging FRIENDS (along with ‪Erin Bowman) & I am so amazed at HOW GOOD IT IS! Thanks for answering all my questions, Sooz! I’m so excited for Truthwitch, and I hope you all are too! While waiting for January 5th, be sure to check out #TruthwitchTuesday on twitter each week for fun activities and surprises!